Guilford Plumbing Supply, Inc. is leading supplier of plumbing parts and fixtures in North Carolina. We have locations in Greensboro and Raleigh with a large customer base in and around both areas. Owned by Pam Burleson, Guilford Plumbing Supply is a family-owned and operated company. To read our story, click here. 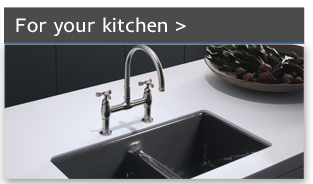 Guilford Plumbing Supply carries a wide variety of kitchen and bath plumbing supplies and fixtures. We encourage you to come browse our showrooms! 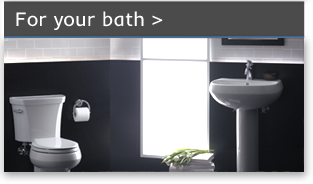 You will leave inspired with ideas for your next bathroom or kitchen remodeling project. Our friendly team will gladly work with your contractor or plumber to make the process run smoothly from beginning to end. Let’s make your homeowner dreams come true! Although we are a local home plumbing store that is family-owned and operated, we work with major brands to help you with home remodeling projects of all sizes. From finding just one decorative fixture to redesigning your entire kitchen or bath, we bring you great variety from the very best in the industry.